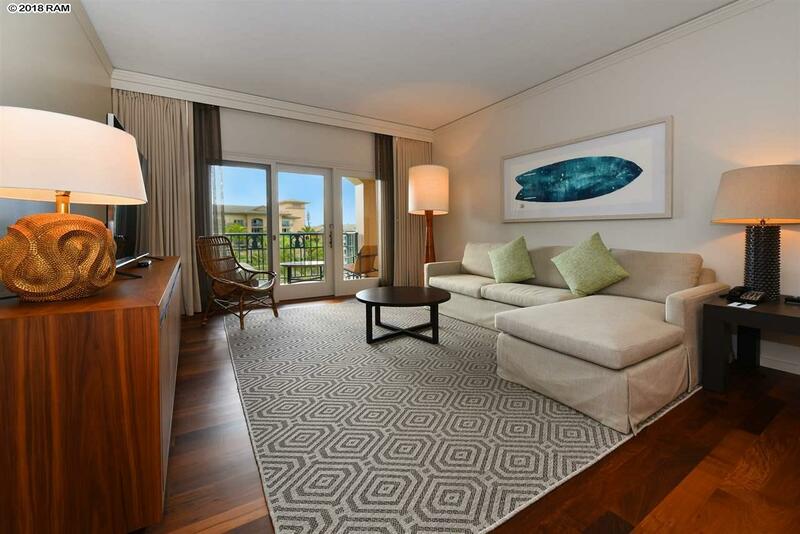 Welcome to this spacious 1 bedroom, 1 bath Residential Suite condominium in the world class Kapalua Resort Ritz Carlton Hotel. Located on the fifth floor, the view is oriented towards the pool and the island of Molokai, this is a perfect property location relaxing and enjoying the views from your private bedroom and living room lanais. Kitchen appliances including Wolf cooktop, convection/microwave oven, Subzero refrigerator/freezer/wine refrigerator, and Bosch dishwasher. 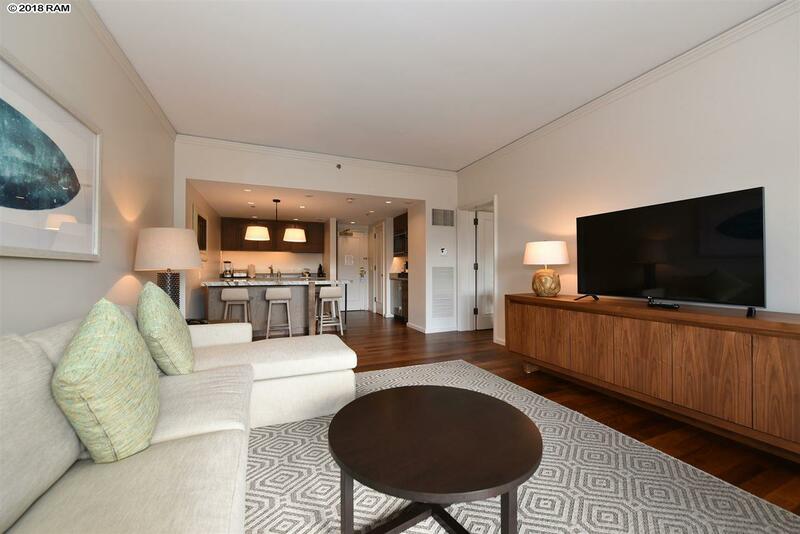 Featuring dark wood floors, travertine marble bathrooms, flat-screen LCD televisions, the furnishings and accessories are contemporary and casually elegant . Amenities associated with ownership at the Ritz Hotel are numerous: The Ritz Spa features treatment rooms with private garden showers, volcanic stone grottos, steam rooms, saunas and movement studio with spectacular ocean views. The Jean-Michel Cousteau Ambassadors of the Environment program offers a variety of outdoor activities with trained naturalists. 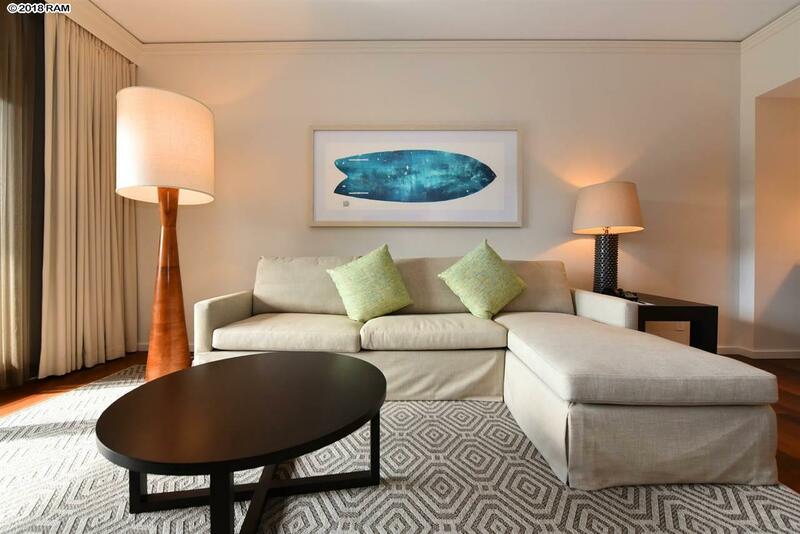 The Hotel also features several restaurants, meeting spaces, a children's pool and luxury cabanas. The Ritz Carlton, Kapalua is located on 54 acres in the midst of the 23,000 acre Kapalua Resort, featuring The Montage Kapalua Bay Hotel and Spa, two championship golf courses, over 80 miles of hiking and walking paths, zip lines and challenge courses, Kapalua Golf Academy, Tennis Center, award winning restaurants, 12 residential communities. 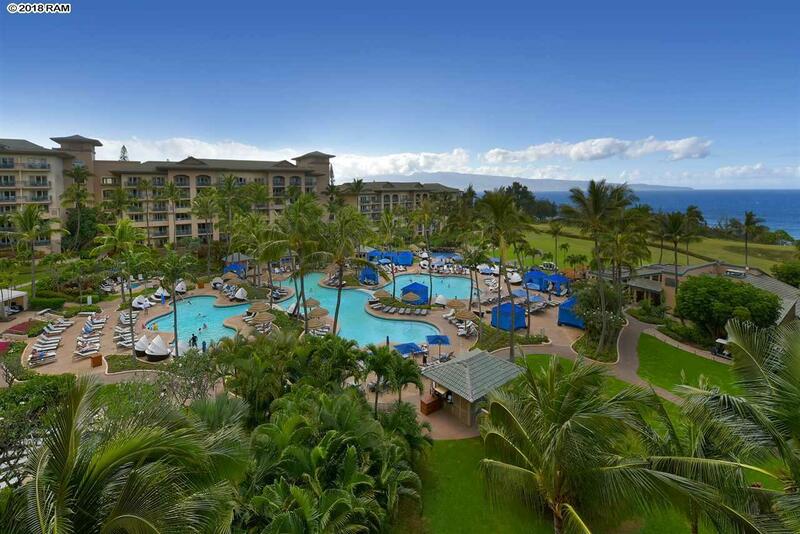 Truly an oasis of outstanding natural beauty, luxury resort services and Hawaiian aloha spirit! Listing provided courtesy of Maui Paradise Properties Llc.